West Chiltington WI meets at the Village Hall on the second Thursday of each month at 2.15pm and enjoys a varied programme with excellent speakers. We don’t always sing Jerusalem and we rarely, if ever, make jam. However we do enjoy getting together and having fun. 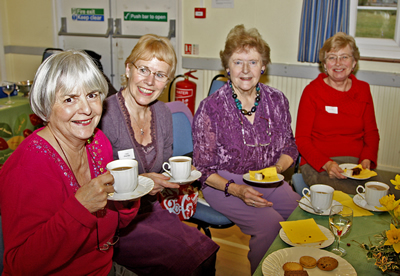 Therefore, as well as our monthly meetings, we have lots of activity groups and enjoy regular outings and social events. Whether you are new to the area or just want to make new friends, we would love to meet you. Visit our website www.westchiltwi.org.uk for further details of our friendly organisation.